Hello, and welcome to the June edition of Politically Cartoonish. Apologies for the lateness of June’s column. As with the rest of WWAC, the Politically Cartoonish column is working to include analyses of non-U.S. and non-Western issues. 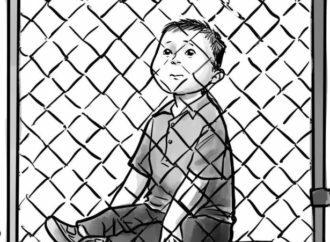 Readers are encouraged to send political cartoon suggestions to the author via her Twitter handle @youandyourego. Hello, and welcome to the April edition of Politically Cartoonish. As with the rest of WWAC, the Politically Cartoonish column is working to include analyses of non-U.S. and non-Western issues. Readers are encouraged to send political cartoon suggestions to the author via her Twitter handle @youandyourego. Welcome back to Politically Cartoonish, WWAC’s new monthly political cartoons column! As always, WWAC seeks to examine a variety of viewpoints and issues in consideration of its international audience. Readers can (and please do!) send political cartoon suggestions to the author via her Twitter handle: @youandyourego. 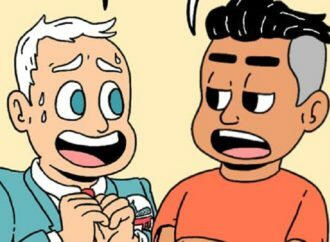 Analyzing The Nib's "Vote or Else!"